The best way to solve a problem is to keep it from happening. By avoiding common mistakes, we can avert all kinds of problems, including those of the hiring variety. Interviews are a frequent part of the hiring process where people make avoidable mistakes. The way most of us were taught to interview is inherently flawed. During a typical interview, a job candidate is on his best behavior. He tells you the right things and shares only the best parts of his background. We get a mere glimpse of the real person. This is a top reason why so many hires fail. The conversations that take place during an interview fall short of determining, with certainty, if the candidate will succeed or fail at the job. 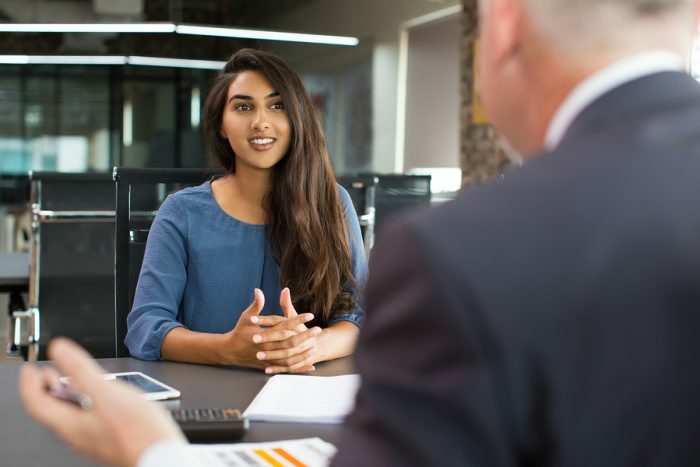 Below are five common interviewing mistakes and how you can avoid them (and hear more about “High Velocity Interviewing: How to Accelerate Employee Selection and Improve Hiring Accuracy” from me in Orlando.). Some interviews shouldn’t have happened in the first place. When they do, there’s a common cause — the resume. Resumes reduce a person to a piece of paper, giving you but a peek of their true potential. Some candidates make matters worse by creating their own version of fake news when they lie or exaggerate details. Resumes are an incomplete tool for deciding who to invite for an interview. Don’t rely solely on resumes when determining which candidates to include in your first round of interviews. In addition to having candidates submit their resume, ask them to follow simple directions and answer a few questions. Here’s one of my favorite ways to do this. When submitting your resume, answer the following questions. Keep each response to no more than three or four sentences. Why are you looking for a job right now? The responses can be insightful. You begin to see his knowledge of the company and the industry. You discover some of the motives driving his job search. You may learn he is happy and open to being happier. Or you may determine that he is desperate and throwing out lots of resumes so he can pay his bills. By including simple directions, you will also begin to assess his ability to follow directions. Your questions and directions allow you to start comparing how his motives match your needs and culture. If he’s dishonest in his response, it’s likely that he’ll contradict himself later in the process. Plus, if he doesn’t follow the directions when answering your questions, that’s a red flag. Following directions doesn’t get better after you hire someone. Phone interviews are a conversation. Nothing more. During a conversation, candidates do what I call the tell, sell, and swell. They tell you what they think you want to hear. They sell you on the best parts of their background. They try to swell your ego. Does this mean all of them are being dishonest? Of course not. It’s natural for candidates to position themselves in the best light. The problem with this very human behavior is that it interferes with determining if someone is worth bringing in for a face-to-face interview. Given the limitations of conversations, phone interviews are best used only as a confirmation tool — you’re confirming he has abilities you can’t teach. These typically include effective verbal and aural communication, personality, and rapport. By focusing phone interviews on these important attributes, you’ll have short and powerful conversations that make it clear who’s worth bringing in and who’s not. Talking about doing work during a face-to-face interview is a waste of time. The candidate, given the opportunity, will continue his tell, sell, and swell. This creates a conceptual experience instead of providing you with an accurate reflection of whether or not he can perform well in the job. Do this instead: have the candidate perform sample work, work that allows you to see, hear, and experience him in action. You’ll see if he has the requisite skills, hear if he will fit in, and experience the quality of his work. How do you set up sample work? Have candidates for sales jobs show how they sell. Let people interviewing for a supervisor role conduct a mock employee meeting. Have marketing candidates create a sample campaign. Direct accounting candidates to audit sanitized financials. By creating scenarios based upon past situations, you can let candidates try on the role while you try out their skills. There’s too much for one person to see, hear, and experience during an interview. Plus, according to researchers Christopher Chabris and Daniel Simons, there are limits to our perception. A team approach to face-to-face interviews counters these problems. A hiring team should have four people with complementary hiring styles (you can learn more about hiring styles in this post). All four people are present in the interview, giving you a complete picture from their unique perspectives. Success in most jobs happens because the employee improves over time. Improvement is initiated from feedback and coaching given by the manager. Not all hires are coachable, but most interviewers neglect to assess this trait. You can assess the candidate’s coachability during a face-to-face interview. Have the candidate perform sample work. Then, provide feedback and coaching. Follow that with a second opportunity to do the sample work, watching if he applies your feedback. If he doesn’t, his coachability won’t improve once hired. Mistake-free interviews are possible when you avoid these common errors. Instead of relying on the candidate’s tell, sell, and swell, you’ll see, hear, and experience your way to making fast and accurate hires.